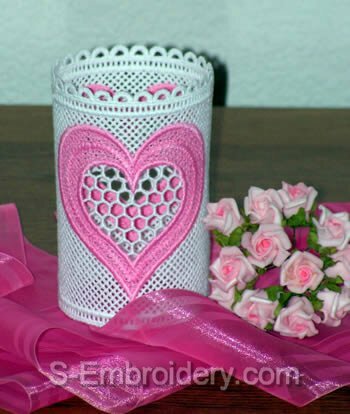 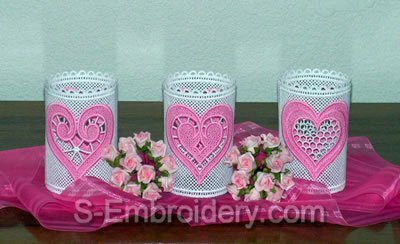 A set of 3 freestanding lace Valentine light shades. 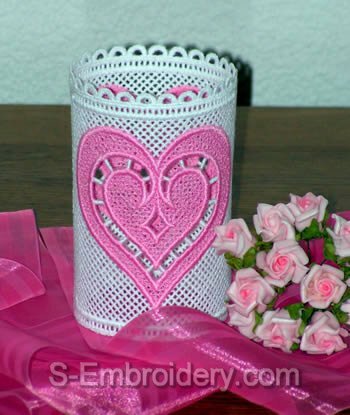 You receive 3 machine embroidery files in one of the supported formats as well as design information in PDF format. 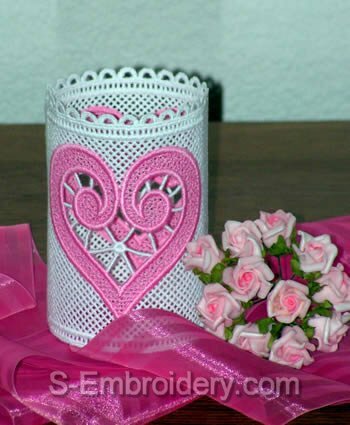 If you want to purchase only one of the designs from this set, please use this link.